This exhibit studies the ink used for the 1911 Admiral 2¢ carmine stamp using reflectance, X-ray fluorescence, and Fourier Transform infrared spectroscopy. The exhibit won Vermeil and the Ed and Mickey Richardson Award at BNAPEX 2018, Quebec City, QC. Copyright © 2019 Richard Judge. 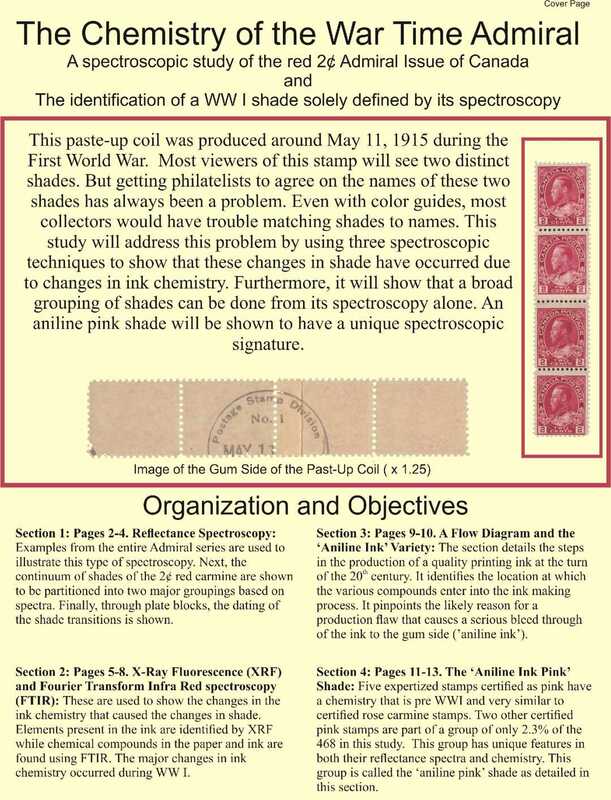 Web design copyright © 2007-2019 The British North America Philatelic Society.